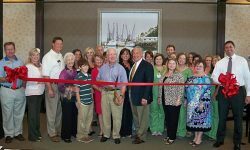 September 30, 2010 – JESUP, GA – The Bone & Joint Institute of South Georgia held an Open House and Ribbon Cutting Ceremony on Sunday, September 26th. This event was open to the public and was held at their new 15,000 square foot, state-of-the-art facility at 110 Professional Court, off Sunset Boulevard, in Jesup. September 22, 2010 – JESUP, GA – The Bone & Joint Institute of South Georgia will hold an Open House and Ribbon Cutting Ceremony on Sunday, September 26th from 1:00-3:00 pm. This event is open to the public and will be held at their new 15,000 square foot, state-of-the-art facility at 110 Professional Court, off Sunset Boulevard, in Jesup. August 24, 2010 – JESUP, GA – The Bone & Joint Institute of South Georgia opened its new, 15,000 square foot, state-of-the-art facility on August 23rd at 110 Professional Court, off Sunset Boulevard, in Jesup. Formerly Kenerly Orthopaedic Center, the new location provides convenient, comprehensive orthopaedic services, featuring on-site Open MRI and x-ray services and an ambulatory surgery center. JESUP, GA – May 12, 2010. In December 2009, ground was broken for the new office of Dr. J. Lex Kenerly III. The new 15,000 square foot facility state-of-the-art facility at 1505 Sunset Blvd in Jesup is officially slated to open in September 2010, and will be called The Bone and Joint Institute of South Georgia. December 8, 2006 – Wayne Memorial Hospital has just received the prestigious 5-Star rating for Total Knee Replacement Surgery from Healthgrades, making the local institution the only hospital in southeast Georgia to receive such a high ranking for knee replacement surgery. HealthGrades, the leading healthcare ratings organization in the nation, has just released its 2007 annual Hospital Quality Study in America, and has ranked over 5000 US Hospitals. No other hospital in the Brunswick, Savannah, Waycross, Valdosta, or Thomasville received the 5-Star knee replacement rating. August 2006 – Patients needing x-rays at Dr. Kenerly’s office will benefit from the latest direct digital technology on the market. Dr. Kenerly, like many hospitals and radiography centers in larger cities, has purchased the Swissray Direct Digital X-Ray system and now has it installed and operating in his office. Dr. Kenerly has Southeast Georgia’s only Swissray system in operation outside of the Savannah area. May 11, 2006 – Dr. J. Lex Kenerly, III, Orthopaedic Surgeon, performed a new electromagnetic computer-assisted knee replacement surgery last month at Wayne Memorial Hospital. It was the seventh EM computer-assisted knee replacement surgery performed in the state and the first one outside the Atlanta area.